Screen Solutions line of portable, ship-able trade show displays is the perfect fit when you need to entice, interact and engage a perspective audience at a trade show. Your Trade Show Display cannot blend in or you will, you must stand out and when you incorporate Screen Solutions visual displays you will do just that. Generate Tradeshow Leads on Autopilot! SSI Display Trade Show Packages are designed just for the tradeshow marketplace, we have exhibited at countless shows over the past 7 years and know what it takes to pull everything together. The last thing you need is to worry about being effective and generating leads. SSI portable tradeshow displays are designed for quick setup, quick dismantle and effortless shipping. Each unit comes with a custom case for everything included. All you need to do is make sure it all gets in there safely. 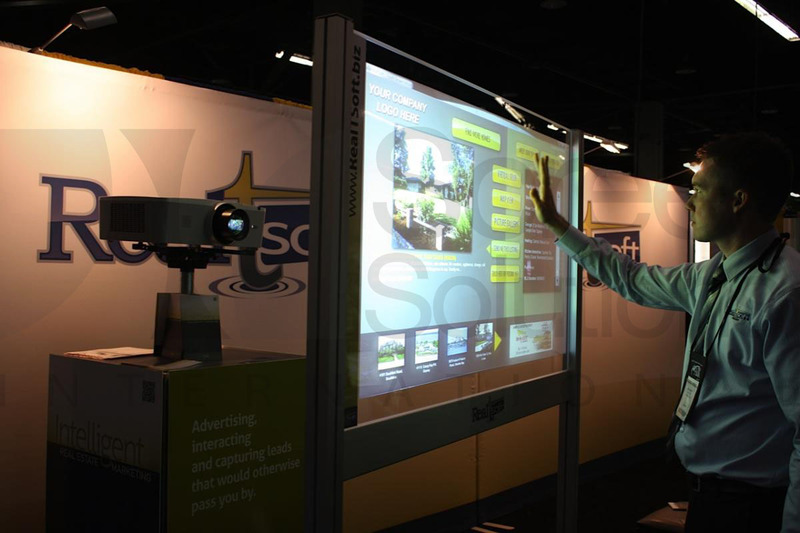 Any of our portable trade show display screens can have interactivity added right into the display. Ask your representative about interactive touch screen technology and the power of integrating it into your trades show display. Downloads and Resources coming soon! In the meantime, please use our contact form if you need drivers or other downloads.